TBILISI, DFWatch–From April 2, Moscow will prohibit the import of fruit, vegetables and herbs from breakaway Abkhazia, which heavily relies on selling agricultural commodities to Russia. Sokhumi responded by imposing an embargo on Georgia barring people from carrying agricultural produce across the administrative borderline even for personal use. Rosselkhoznadzor’s decision of 29 March means that Russia is temporarily suspending the import of all kinds of herbal products from Abkhazia. Later, Rosselkhoznadzor representative even alluded to the possibility that the pest might be a ‘biological weapon’ intentionally spread by Tbilisi. “We do not exclude that today we are talking about the use of some kind of biological weapon. The pest began to be spread into Abkhazia from the territory of Georgia,” Rosselkhoznadzor’s official representative was quoted as saying by Russian media. Sokhumi was infuriated by the new restrictions, saying that it may have catastrophic consequences. 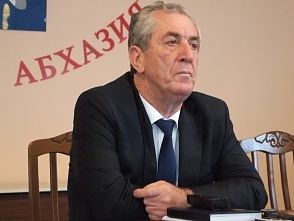 The de facto vice premier Aslan Kobakhia said that it “amounts to a blockade”. According to him, people have taken bank loans in order to build greenhouses, and these restrictions will throw them into extremely dire straits. The fact that no restrictions have been imposed on Georgia so far was particularly poignant to a spokesperson for Abkhazia’s breakaway authorities. “It turns out that we are the only victim of the Rosselkhoznadzor,” Aslan Kobakhia said. Soon afterwards, on March 31, Sokhumi imposed even stronger restrictions on agricultural goods imported from Georgia. Individuals were banned from carrying any kind of herbs across the de facto border from Zugdidi and into Abkhazia’s southern district Gali, even small amounts in bags.